China’s E-Commerce giant, Alibaba.com has registered a Russian subsidiary to further expand its business, support its partners, and facilitate cooperation with the Russian authorities. According to local reports, around 70% of the international packages which were shipped to Russia in 2014 came from China with most of the volume created by E-Commerce websites, including Alibaba. This trend accelerated after the West imposed economic sanctions on Russia as reaction to the Kremlin’s illegal Crimea annexation and the hefty military support given to the insurgents in the eastern parts of the Ukraine. 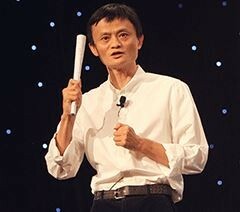 In a related development, Alibaba's founder and group chairman, Jack Ma speaking at The Economic Club of New York earlier this month said the Alibaba Group envisions to help American entrepreneurs, small business owners, brands and companies of all sizes sell their goods to the growing Chinese consumer class, which according to Ma, will help create American jobs and increase U.S. exports. The Alibaba executive also stressed that Alibaba has no intention to take over the American E-Commerce landscape. Rather, Ma said in an op-ed for The Wall Street Journal that Alibaba Group wants to make it easier for U.S.-based merchants to sell more of their products to Chinese consumers.